A winter break in the sun is all the more enjoyable when we escape grey cold and damp winter weather back home in the northern hemisphere. South Africa is ideal for a winter break because it is sunny and warm at precisely the same time as our winter weather is horrid. Save on those heating bills and escape to the sun for a week or more. Life is easy in South Africa. For Brits it is almost a ‘home from home’. Not only do South Africans drive on the left and speak English but the cuisine is similar but better quality. Steaks abound at a lower price than back home, the wine is plentiful and everything for the South African’s is ‘a pleasure’. Rent a holiday home for your winter escape, hire a maid at a very modest cost and enjoy a well-earned break under blue skies. The time difference with the UK is a mere 2 hours, so you won’t suffer from jet lag on your return. 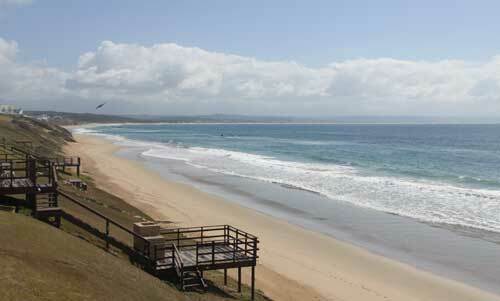 The lovely unspoilt beaches of South Africa await. Play golf, bridge or chat with other winter escapees whilst you warm your bones in the sun. Buy a souvenir or two to remind you of your holiday in South Africa, the land of the rainbow people and sunshine.